Over at Disney Central Plaza forum, they’ve been discussing Halloween festival for a while now, today a press release has been posted that originates from ameworld.net. Here is the exciting news we’ve been waiting for, some details on Halloween 2013 at Disneyland Paris! Hewie, Dewey and Louie will be arriving at Disneyland Paris from October 5th to celebrate Halloween, and their Uncle Scrooge will be joining them! The amazing Halloween decorations from last year will return as Main Street is transformed into a place where you can meet those friendly ghosts. 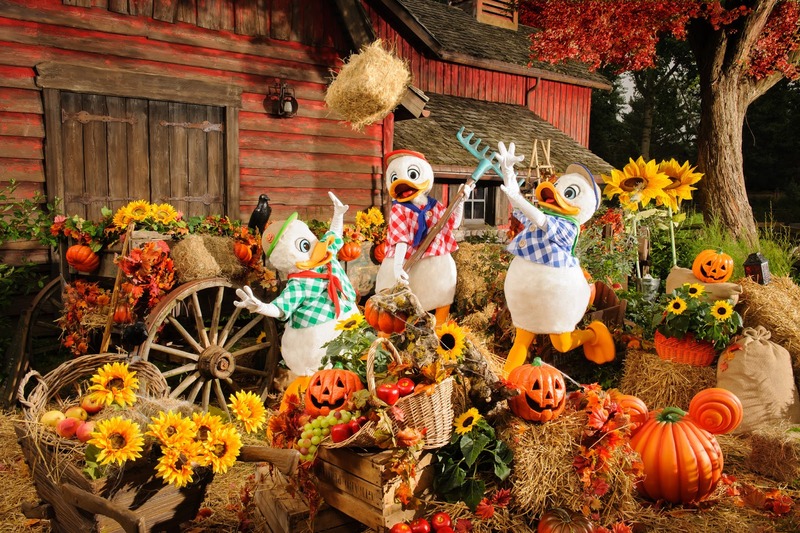 A new three float Halloween cavalcade will be presented by Mickey and Friends called ‘Mickey’s Halloween Celebration’ featuring Disneyland Paris’s newest arrivals (Hewie, Dewie, Louie and Uncle Scrooge as well as Clarabelle!). Goofy will return with his sweet machine on Main Street USA, and we can, for the first time, visit Minnie’s studio where she will be creating some fashion creations. Other returning features are the villains in the Castle Courtyard and Jack and Sally will return to their photo location outside Phantom Manor. Disney Dreams returns for the season where we can get ‘haunted’ by our favourite Disney Villains, Doctor Facilier, Ursula and Captain Hook. Don’t forget Disneyland Park’s Soirée from 20:30 – 01:00 on the 31st October, and tickets are on sale now! Big thanks to Ameworld for posting this exciting press release. We think the 2013 Halloween season will be exciting, and we really cannot wait to see that Halloween cavalcade.